Quantrilla (affectionately known as Quanny), hails from the DC metropolitan area. She and her husband raise their family with joy and are constantly in awe of each blessing bestowed upon them. A passionate creative at heart, she has answered the call to encourage women in all stages of life and of various backgrounds through empathy, transparency, and love. 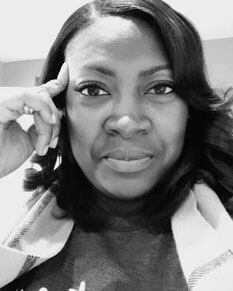 Because she leads a full life as a wife, stay-at-home mom, doctoral student, and entrepreneur, Quanny often finds herself in the thick of problem solving at any given moment. When she isn't actively finding solutions for those problems, she can usually be found with her nose in a book, a pen in her hand, or fingers on the keyboard. She loves music and occasionally sings at church or other events with friends and family. As a faith-based personal and spiritual development writer, Quanny is on a quest to shine a light on the shadowy, hidden places in her own life as well as helping others do the same. She writes about her experiences in hopes of encouraging others that they are not alone. Her spiritual goals and her love for Christ propel her quest to share her journey with other women- to walk alongside them and encourage them with words, deeds, and wisdom. Quanny believes in the power in collective strength, community and fellowship. You will find her wherever people are sharing stories of triumph. 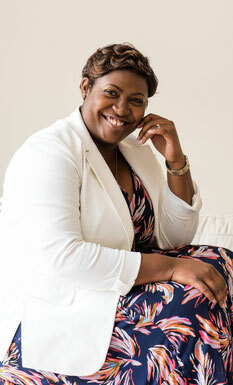 Quanny has a multidisciplinary background in Public Health and Psychology, both professions that speak to her desire to prevent suffering at both the physical and emotional level. Additionally, she often applies her writing skills to review books, provide editing services, and participate in a variety of freelance opportunities. She would love to connect with you on all forms of social media and invites you to sign up for her newsletter below! Join my blog RSS feed to receive my blog posts directly in your inbox! Use the button to the right to subscribe.